OAK BROOK, IL - Nov 6, 2017 - Millennium Trust Company, LLC, a provider of specialized custody and retirement solutions, and Paychex, Inc., one of the nation's leading providers in retirement recordkeeping services for businesses, have teamed up to offer a SIMPLE IRA (or a Savings Incentive Match Plan for Employees Individual Retirement Account) to employers with 100 or fewer employees, with innovative features including auto enrollment and investment fiduciary services. "Small businesses increasingly recognize the importance of retirement plans in attracting and retaining talent, but there are barriers that keep them from investing in employer-sponsored workplace savings solutions," said Gary Anetsberger, CEO of Millennium Trust Company. "A SIMPLE IRA plan is a low-fee retirement savings plan that offers many of the same features found in 401(k) and state-based retirement savings programs including auto enrollment and auto escalation," added Anetsberger. "Approximately 40% of Americans don't have access to retirement benefit plans at their place of work (Source: Pew Charitable Trusts, 2016). Our alliance with Paychex will help reduce the cost burden that small companies struggle with, and increase access to retirement savings for employees of small businesses," said Terry Dunne, Managing Director of Retirement Services at Millennium Trust Company. "Paychex founded its retirement services offering more than 20 years ago with the belief that saving for retirement should be an employee benefit accessible to all, not just those who work for large organizations," said Tom Hammond, Vice President of Corporate Strategy and Product Management at Paychex. "This new SIMPLE IRA offering, in collaboration with Millennium Trust, builds on that foundation, adding a solution that helps small business owners address the demands of the growing retirement crisis and the increasing number of states mandating IRA programs. Paychex is proud to add this SIMPLE IRA to our extensive lineup of retirement services offerings, providing a low cost and low complexity retirement savings alternative to small employers." 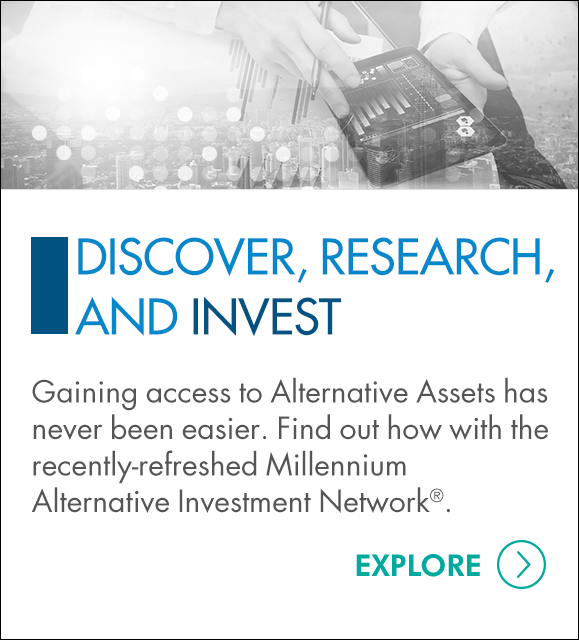 Paychex allied with Millennium Trust due to the firm's extensive IRA custody and servicing capabilities. Millennium Trust's integrated custody and service platforms provide automatic plan adoption by employers and auto enrollment for employees. Employers, as well as their employees, also have access to the Millennium Trust Workplace Savings portal, along with call center support to efficiently manage the plan and SIMPLE IRA accounts. Millennium Trust Company performs the duties of a directed custodian, and as such does not provide due diligence to third parties on prospective investments, platforms, sponsors or service providers and does not sell investments or provide investment, legal, or tax advice. For more information about Millennium Trust Company connect on Twitter and LinkedIn.